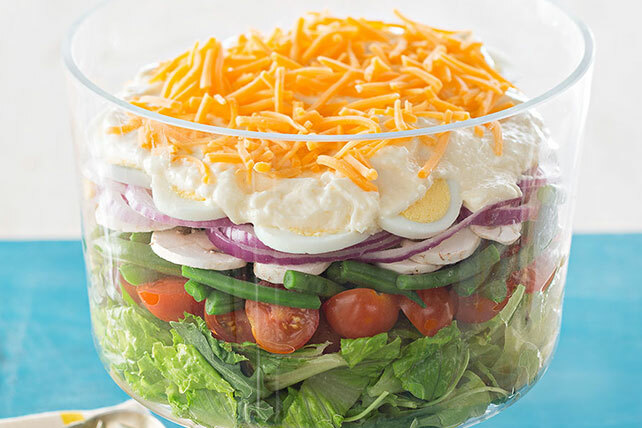 Just one look will tell you why we couldn't call this party-perfect recipe anything other than Lovely Layered Salad! Mix mayo, Parmesan and sugar until blended; spread over eggs, completely covering salad. Sprinkle with cheddar.